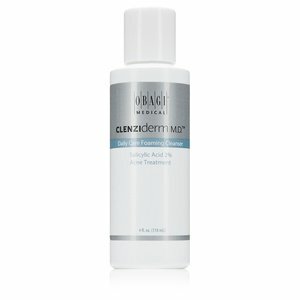 Obagi Clenziderm Daily Care Foaming Cleanser, 4 fl. oz. Product prices and availability are accurate as of 2019-04-19 07:40:04 EDT and are subject to change. Any price and availability information displayed on http://www.amazon.com/ at the time of purchase will apply to the purchase of this product. Part of the CLENZIderm M.D. product line, which is specifically formulated to help treat acne where it starts. 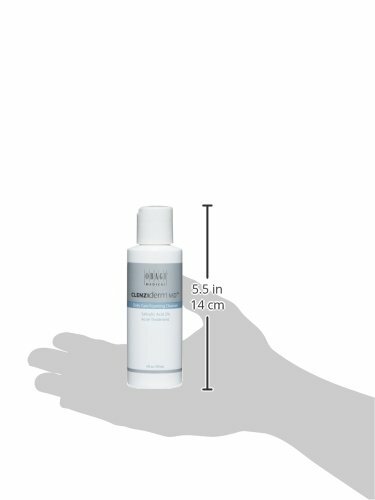 Light, foaming acne cleanser with 2% salicylic acid Eliminates dirt, excess oil & dead skin cells Includes calming menthol to help cool irritated skin.